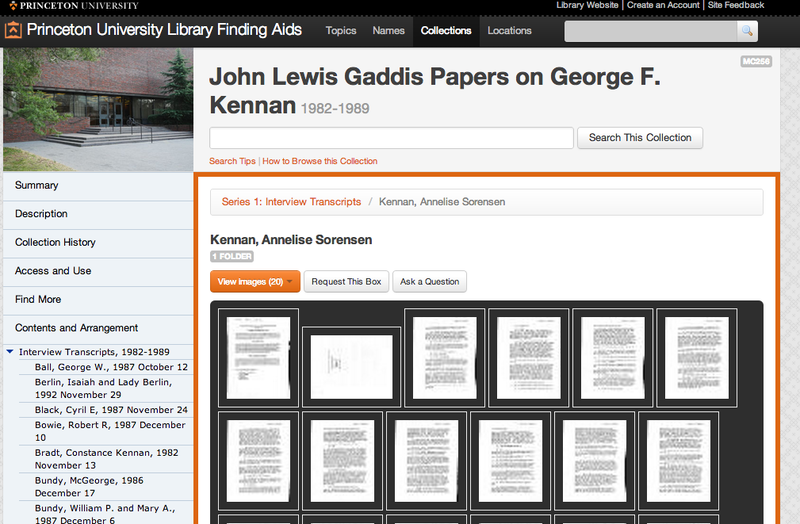 We are very pleased to announce that the Princeton University Library’s Archival Description working group has been awarded the 2012 Frederic M. Miller Finding Aid Award by the Mid Atlantic Regional Archives Conference (MARAC). 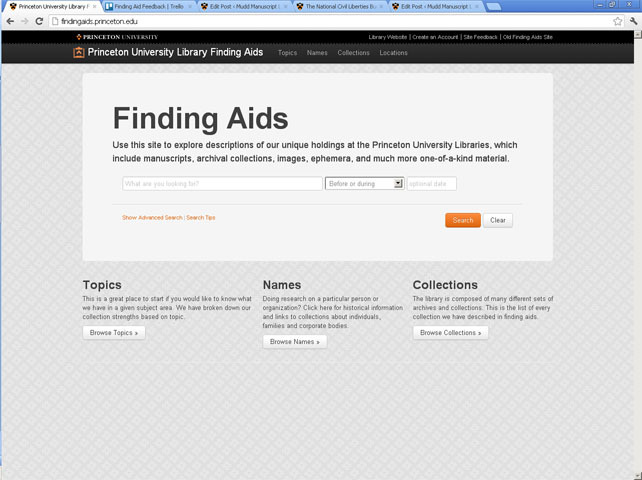 The award recognizes outstanding finding aids and finding aid systems in the Mid Atlantic region. Submissions are evaluated in the areas of content, design, innovation, and adherence to descriptive standards. Princeton’s archival description working group includes two Mudd staff members: Maureen Callahan and Dan Santamaria, who serves as chair of the group. Former Mudd staff member Regine Heberlein is also a key member of the group, as are Don Thornbury and John Delaney from Firestone Library’s Department of Rare Books and Special Collections and Jon Stroop and Shaun Ellis of the library’s digital initiatives group. •	Direct access to components of collections (often boxes and folders) from search results and Faceting and browsing options from search results. In addition to the work of the team that developed the finding aids site, it should be noted the site is built on data created by dozens of library staff over the last several years. The innovations described above would not be possible without the work of these staff members in processing and describing our collections. The award comes with a small monetary prize, which will be donated to a small historical society in New Jersey. While use of the finding aids by our patrons is our biggest reward, it’s great to receive recognition for the hard work that went into developing the site. Congratulations to everyone involved! 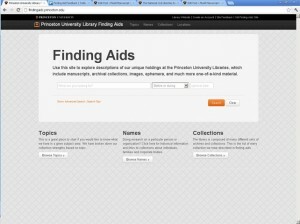 This entry was posted in Library News, Mudd Library Staff, New Finding Aids and tagged finding aids, MARAC by Dan Santamaria. Bookmark the permalink.